A to B to Sea: Cutting the cord... sailing on our own! We had plans to head up the Mary River to Maryborough but when we turned the engine on to leave, the noise was absolutely horrendous and we pretty quickly turned it off. Since the trip up to Maryborough is 20 miles, most likely motoring with heavy currents, we did a quick call around to see what our other options were as we were hesitant to use the engine with it sounding as it did. Through all of the work that we had done on the engine and drivetrain previously, we had pretty much narrowed it down to the problem being with the prop shaft and propeller. In order to give this theory a go and hopefully fix our problem, we needed to come out of the water again. Enjoying our first solo sail! 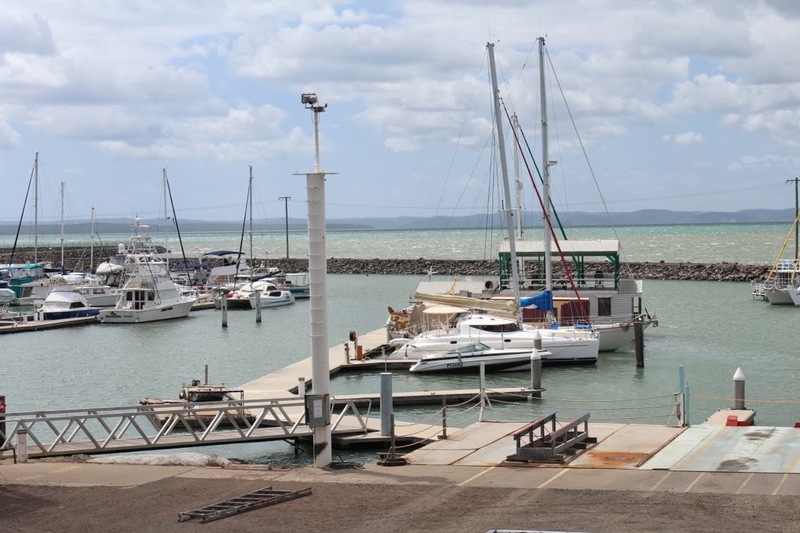 We were able to find a slot to be pulled out the next day at Fisherman’s Wharf Marina at Urangan Boat Harbour and sailed up there that afternoon. 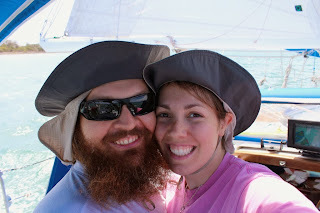 This also happened to be Bryce & my first time sailing alone together (in something a bit bigger than Madison’s lakes!) 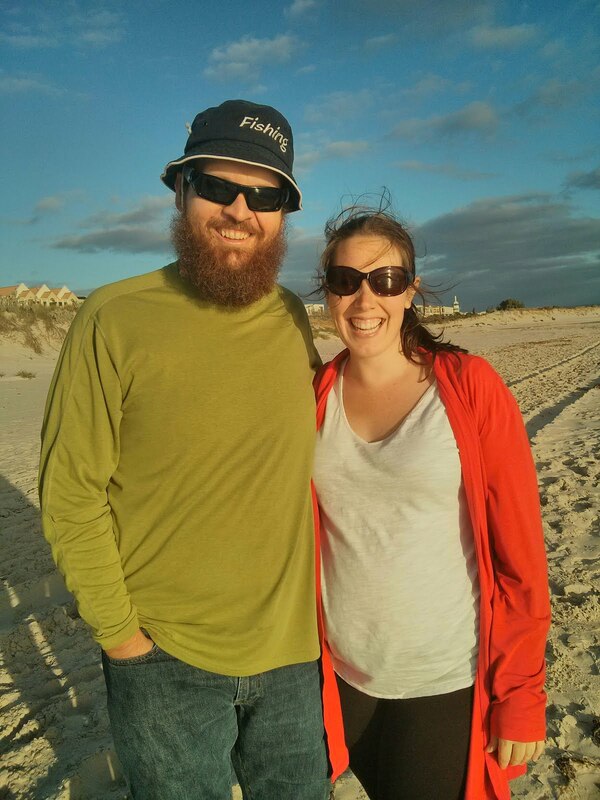 and it was an absolutely lovely glimpse at what the cruising life will be like for us. We have already experienced some of the heartache and hardwork that goes into making this dream a reality but to experience the wonderful was... Wonderful! Don't get me wrong, we LOVE having visitors but the majority of the time it will just be the two of us and it was nice to get a taste of what that is like. 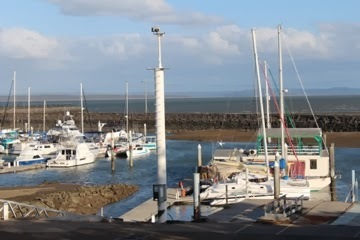 After a lovely sail, we entered the harbor where we had arranged to stay at the marina for the night. Coming in we were a bit unsure exactly where we were headed and the marina office wasn’t answering their phone (it was after business hours), so we took our best guess. We did ask someone on a nearby boat what the depth was in the area we were headed and thought we would be fine based on that. The wind was working against us so this made our approach a little tricky and we ran aground! Pretty much everyone we spoke to in the marina said this had happened to them here. It's not marked and is a bit deceiving. We very quickly got the dinghy down from the davits and Bryce jumped in it, only to realise that we had taken the bung out to drain it while we were underway, so water was gushing in. Once that was sorted, I prepped some lines and tossed them to Bryce so he could tie us off, as the tide was rising but the wind was pushing us towards some rocks. This was just a little concerning to me as Bryce motored away and left me alone on the boat but I tried not to think too much about that. By this time a little crowd had gathered and a team of strong men pulled us free and we quickly tied on to safety. We moved over to where we needed to be the next morning before coming out of the water that afternoon.